A video where I am not doing my business but sitting on the loo (also known as the privy toilet) so you can see the view of the surrounding area. The video was taken in the backcountry of Algonquin Provincial Park, Ontario, Canada. This entry was posted in Algonquin Provincial Park, backcountry, Backcountry Camping, Camping and tagged Ontario Parks, Privy Toilet, Toilet, Washroom on September 16, 2014 by AlwaysARedhead. One of the worst problems when I am canoeing with my husband is apparently my ability to sit centre in the canoe, he thinks I sit a little too far to the left which in turn throws him off-balance. I on the other hand am pretty sure that I am sitting in the middle of the canoe because I line my girlie parts up with the keel of the canoe. Sounds silly right, but think about it for a minute, (probably easier for my female readers). If you refer to the picture above, you can see the keel in the middle and the two other indentations to the right and left (sorry I have no idea what they are actually called). Anyways, I line my knees up with these indentations, thus my girlie parts are dead centre. Yet according to the husband, I am still crooked, so after much discussion (what else does one chat about when stuck in a canoe for four and a half hours with their better half), the only amicable decision we could agree upon was my girlie parts must be crooked. We camped on a pretty large lake when we were in Algonquin Provincial Park, Burnt Island Lake. There are quite a few campsites on the lake that are very private because they are off the beaten path. 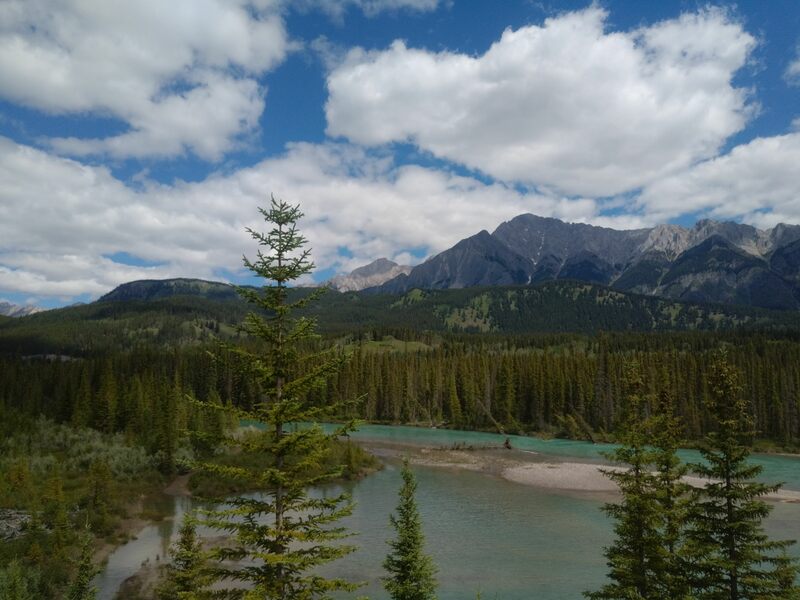 From our site, you could see canoes in the distance that were either heading further into the lake, or to another portage, which brought me to the second problem I had – rocks look like canoes. They really do, especially when you are looking from afar, but you would think that after I had mistaken the first rock as a canoe, I wouldn’t do it again. Nope. All weekend, I would see either the same rock or a different one, and point it out to my husband, who would look, than laugh, then say “you’ve done it again dear, it’s a rock”. Damn. Here are some of the pictures from our camping trip, I hope you enjoy them. 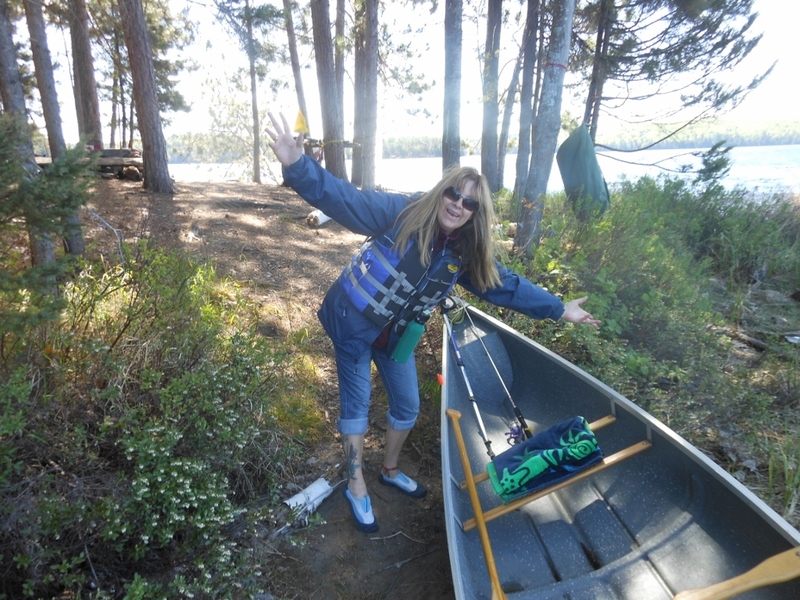 This entry was posted in Algonquin, Algonquin Provincial Park, Burnt Island Lake, Camping, Canada, canoe, Canoeing, Canoes, Girlie Parts and tagged Ontario, Ontario, Ontario Parks, portage, Rocks, Sunset, Travel, Vacation on June 8, 2014 by AlwaysARedhead.